Audiophile furniture is for people that are enthusiastic about high-fidelity sound reproduction. High-fidelity sound reproduction involves the electronic components of equipment, as well as the case that hosts the equipment. There are many approaches to audiophile furniture today. 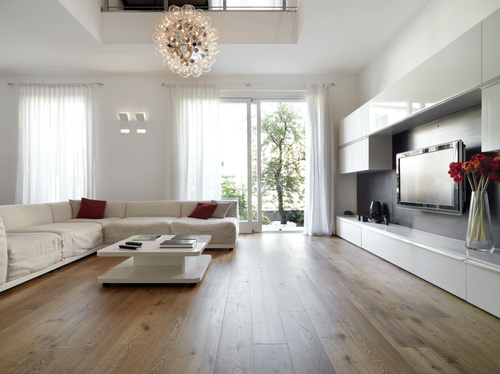 Modern furniture designs are ideal for decorating the home. 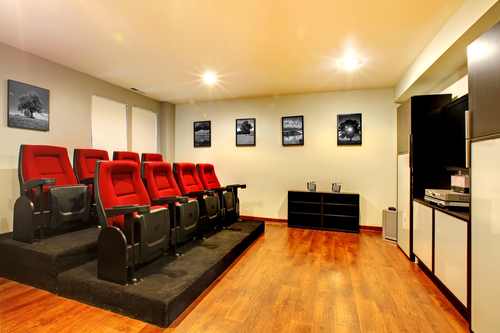 Many designs are also ideal for storing or hosting sound and theater equipment. This allows equipment to perform at its best level through improved stability. The innovative approach to audiophile design does not compromise the science or aesthetics of your sound. The furniture often features premium hardwoods, steel, and even granite. It’s built with presentation in mind. 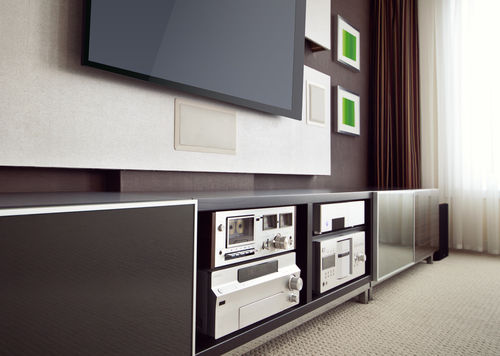 Let’s explore the types and characteristics of audiophile furniture available. Most often, unwanted vibrations come from loudspeakers. They transfer this energy into the room structure and its contents. Additionally, transformers, motors, and CD drives also generate vibration energy. This energy transfers directly into the audio equipment. That is, unless the base platform is supported with what’s known as an isolation platform. The isolation platform allows dissipation of internal energy that is inherent in the equipment. It also further protects from airborne and structure-borne energies. The audiophile furniture designed for this structure has lowered energy storage. It provides support for the base platforms. This technical support further enhances the performance of the platform by providing a multi-level support system for some pieces of equipment. There are two popular types in this category: base platform and star base supports. Both are made of rigid hardwood construction and a unique multi-layered shelving system. Often you can choose your damping or sound barrier materials. The vibrational factors which affect reproduced sound is fixed with base platform systems. There are several components. The Vibration Control Platform component is the StrataBase and the Audio Support range is the AlphaBase for small equipment. Then, at the other end of the scale is the QuattraBase Support for much larger equipment, thus expanding the range to a widening audience of music and film lovers. Each system employs an elegant vibration damping system. This system is comprised of compliant beams bonded to elastomer strips routed into their undersides. The beams are supported by feet that cantilever at each end to provide a small amount of movement to damp low-order vibration. The most common method for dealing with these issues, adopted by many traditional support systems, is the use of high mass, high rigidity support. Another approach often favored is a lightweight support with a built in level of compliance. In practice, no one system offers the ideal solution. The square hi-fi is for a dual-purpose audiophile furniture piece. It is suitable for both hi-fi audiophiles and home theater systems. The design varies and can feature tempered glass or wooden shelves with brushed aluminum columns. It is very easy to integrate into most types of interiors and decor. Its square architecture with decoupling spikes on each shelf ensures unshakable stability. With this type of furniture, all elements are independent of each other. It also enables you to change your furniture as you wish. Its highly adaptable and robust design allows it to accommodate impressive devices such as turntables as well. This is audiophile furniture that is easily customized. Bamboo finishes provide a good structure suitable for audio equipment because it absorbs energy. This characteristic makes the furniture sturdy as well as functional. Whether you choose the Hi-fi or the AV version, the technical attributes of bamboo inspired furniture is notable. It often features a natural wave absorption that supports each of the shelves, and a remarkable 15mm thickness. Often bamboo gets paired with black glass shelves for a modern and adaptive style. The storage is usually abundant. 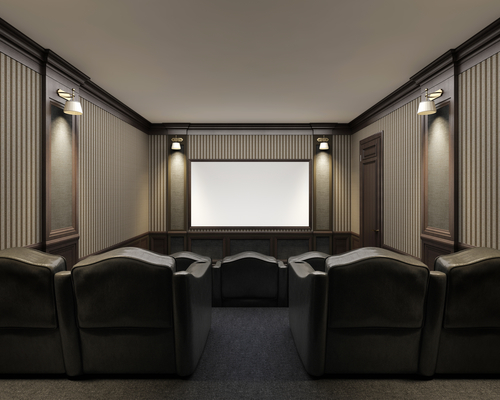 It includes spacious areas to accommodate all the elements of your high fidelity or home theater system, and is strong enough to support the heaviest and bulkiest components. Quality audiophile furniture is often designed to withstand the test of time. When choosing your audiophile furniture it is important to focus on details and functionality. One of the primary functions of this type of furniture is to protect the integrity of the sound. Protecting the integrity of the sound often involves selecting the right housing of the equipment and the materials. 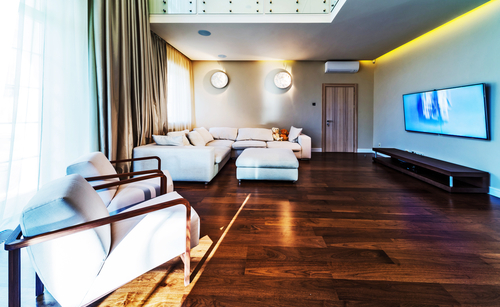 Bamboo naturally absorbs energy while hardwoods provide stability and structural support. 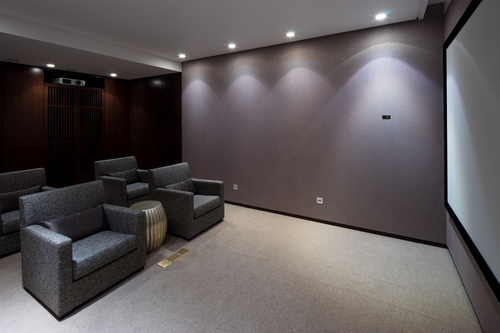 To learn more about how to choose the right media furniture for your space, contact one of our audiophile design experts.